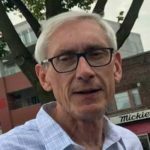 Governor-elect Tony Evers is encouraging Wisconsin voters to speak up, as Republicans in the legislature prepare to strip Evers and incoming attorney general Josh Kaul of power before they can take office in January. Republicans are rushing a sweeping package of bills through a “lame duck” extraordinary legislative session, with a public hearing in the Joint Finance Committee Monday, and floor votes in the Senate and Assembly on Tuesday. State Senate Majority Leader Scott Fitzgerald told conservative talk radio station WISN’s “Jay Weber Show” on Monday that the agenda for the lame duck session is designed to corral Evers before he takes office. And he suggested that GOP legislative leaders “don’t trust” the Governor-elect. “We are going to address these now, to make sure that a lot of the policy decisions that we made as a legislature and were signed into law by the governor, continue to be the way that we feel comfortable with,” Fitzgerald said. Governor Scott Walker, who would have to sign the lame duck measures into law, and has yet to publicly comment on where he stands. “I hope he thinks about how he could govern under those circumstances, and how this will impact his legacy,” Evers said.